OnePlus has revealed the second feature of its upcoming flagship phone, the OnePlus 2. Last week the company revealed that the Two, will be powered by a Qualcomm Snapdragon 810 v2.1, which reportedly runs cooler than its older variants. 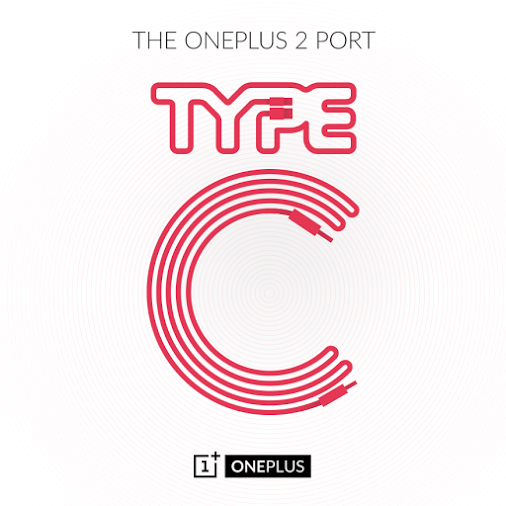 Today, it revealed on Google+ that the OnePlus 2 will have a USB Type C port, and that it is the first smartphone to do so. If you don’t know what USB Type A and USB Type B are let me give you some examples. Regular USB cables which plug into your computer’s ports is an example for USB Type A. And the cabes which you plug into your phone to charge it, i.e, micro USB, is an example of USB Type B. So, what is USB Type C? It is totally different. Firstly, the USB Type C cables will have the same connectors on both ends, and they are reversible, i.e., you don’t have to look for which side plugs in to a port. USB Type C cables offer fast data transfers, as well as quick charging. It can also be used to connect to a display device, by plugging into the DisplayPort. In short words, USB Type C is one cable to rule them all. Of course, it isn’t compatible with normal USB ports, but you can use an adapter to connect it to your computer. USB Type C is already available in this year’s Apple MacBooks. OnePlus 2 could be revolutionizing the smartphone industry, by becoming the first phone manufacturer to include USB Type C port in its device.